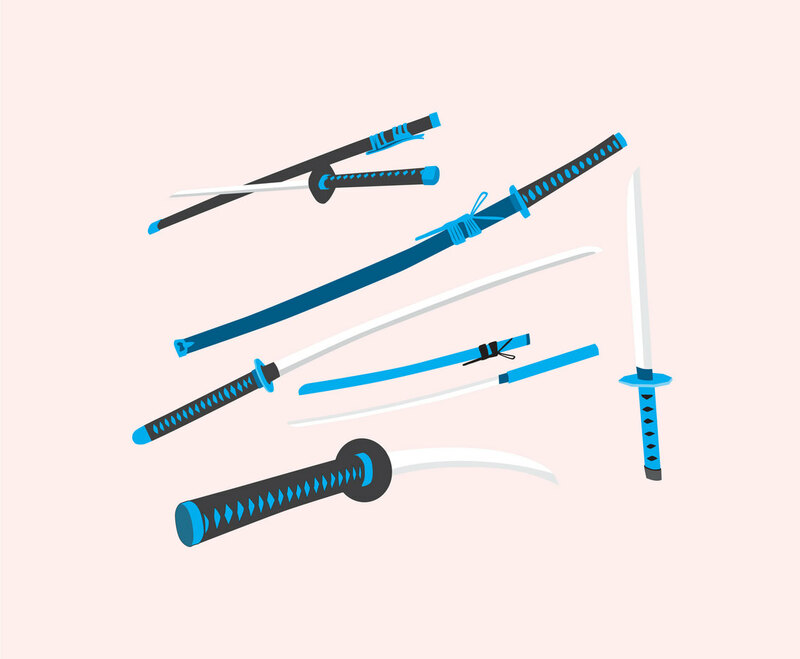 Check this wonderful selection of katana vector illustration. The swords are illustrated from many point of views or angles. You can always pick one to fit your design project related to Japanese culture, or martial art course, and much more.